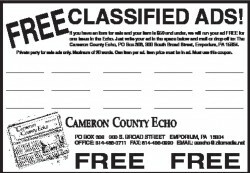 Advertising with the Cameron County Echo is simple and easy. 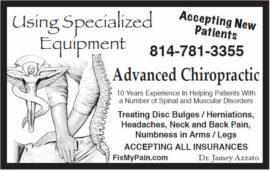 We offer extremely competitive advertising rates and packages . If you are interested in advertising your non-profit organization, please contact us. Non-profit organizations always receive free announcement and event listings. Just contact us with your organization’s name and details of your event or announcement. 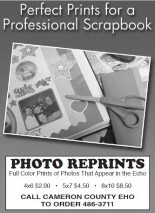 Email us today at ccecho@zitomedia.net . Girl scouts of WPA are looking to fill volunteer positions for the 2013-2014 season please contact lindy at lindy0507@gmail.com for more details. Also Cameron county challenge and change project is looking for girls ages 12-17 interested in assembling an actual greenhouse and harvesting there own crops. Contact lindy at lindy0507@gmail.com for more information. Would like an email address for the editor? Can someone email me? We are interested in advertising our Loggers Plus Expo a 2 day event being held from 21st April to 22nd April 2017 at the Bloomsburg Fairgrounds in Bloomsburg, PA. This event showcases products like forest industry equipment, machinery supplies and services and much more etc. in the Plant, Machinery & Equipment industry. 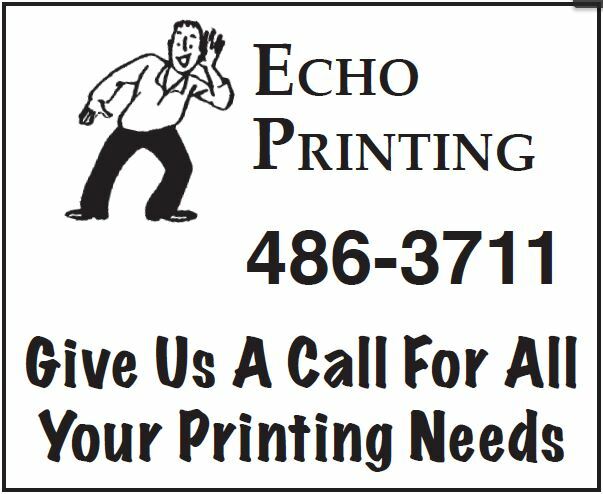 Would you please email your rates for an 1/8 page ad in your business section, submission deadlines, and format requirements. The time frame we are interested in Monday-Thursday April 17-20.